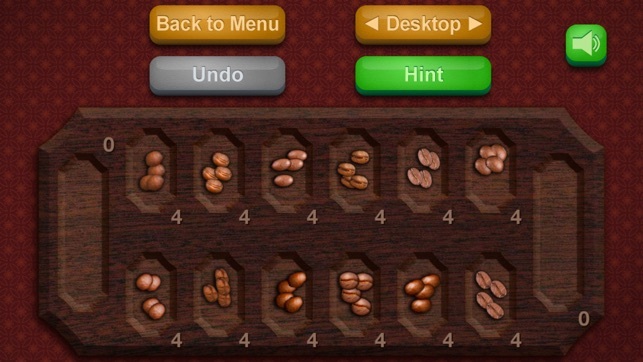 Mancala (also known as Kalah) is an ancient board game. 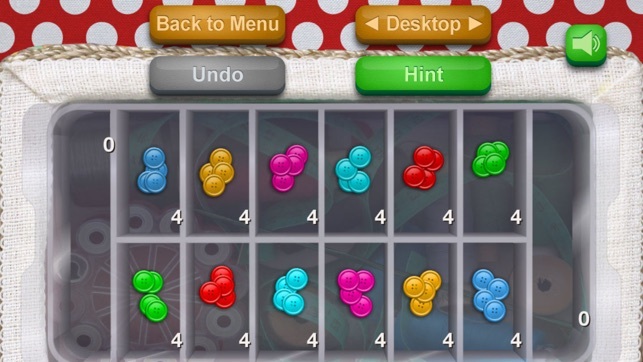 Pick up marbles from any of bottom holes and move them counter-clockwise. If your move ends at your home hole (right one) you can move again. 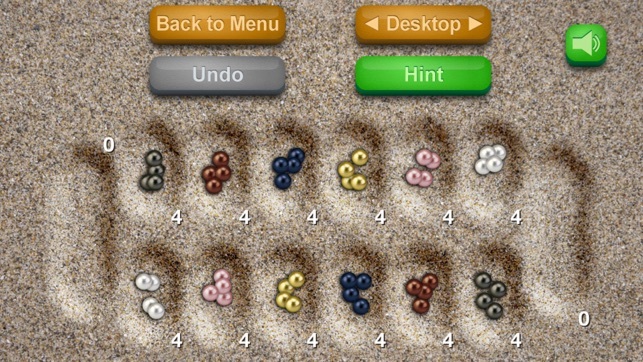 The game ends when all six holes on either side are empty. The winner is the player with the most marbles in home hole. 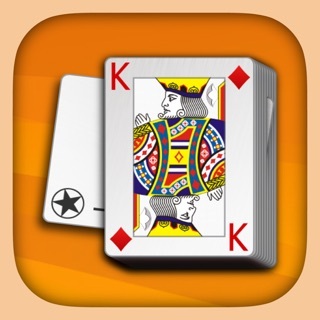 Fun to play but I feel it is unfair sometimes and the game cheats! This is not good leadership skill for children to see when they play this game at least make the age higher up like 18 and older! 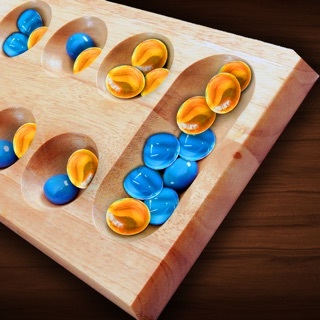 But I think you must teach kids at young age that life is unfair, and mancala is addicting I am actually addicted I remember playing it in the hospital with my sister but they lost all the marble pieces literally!! And we had to find random pieces to replace them with they kept falling out and stuff they were too big! and I do not think it was as fun but I make do. This game still had marbles pieces and I didn’t not have to replace them with stupid small plastic animals like giraffes and elephant and monkey so I give it a three stars review ok hope feelins are not hurt that is not my intention what so ever. 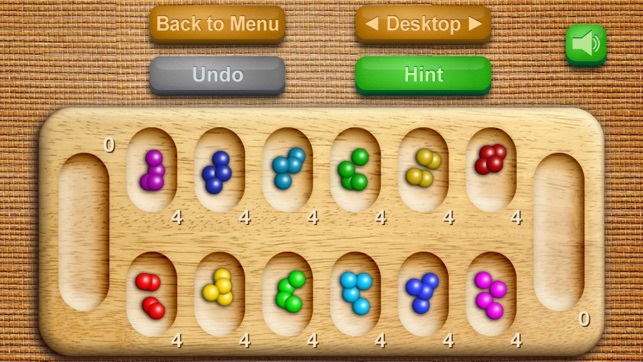 This app is still better than others on the App Store like that mancala and friends so big props to that . 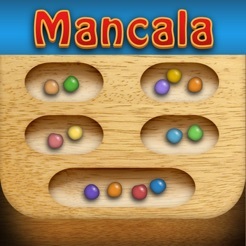 I love the actual mancala game, but this is slightly different. 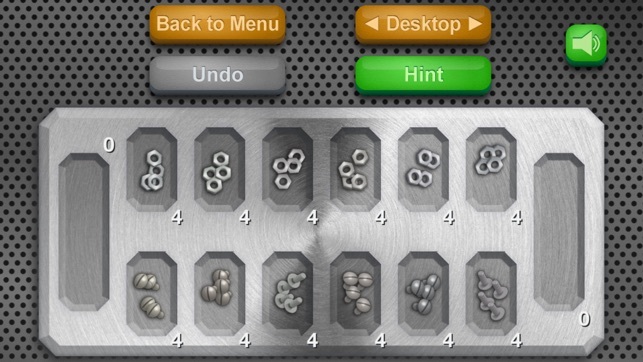 I have always played with three things in each slot, not four, and I can't spend money on apps, and I don't want to just to change a number. Also, I didn't do the capturing when you land in the empty spot. It took me by surprise, and I didn't want to have to go to a stupid website just to find out what was going on. 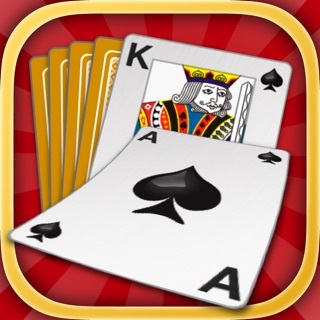 You could at least put the rules in the actual app, and I want a two-player game. 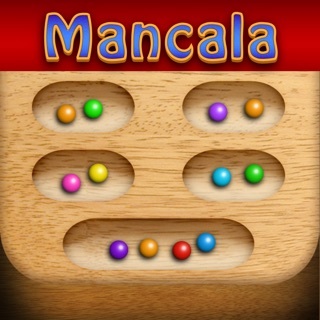 I'm sure it's not the worst mancala app, but if you're a beginner you might like it. It's extremely easy to win. Love to play in class, not to ignore, but to concentrate better. Like studying with the TV on. Engaging enough to shut off nagging thoughts! Can shut off volume! 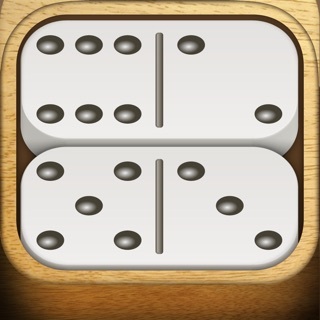 So if I need to think deeply, for understanding, and play this game, no one else is distracted or disturbed! This game is easy to win. Challenging subjects aren’t so intimidating. NOT saying my win ratio predicts my grades. The point: I’m willing to give the class a try, rather than summarily dismiss, and be all the dumber. 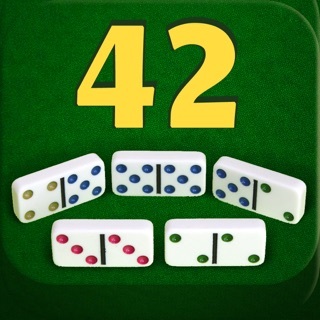 Highly recommend this game! Whatever walk you’re in, you’ll love this game!